This home has a lot to offer. Updated interior and a large addition for a 2nd bedroom or den with a Lazy Boy sleeper/sofa. Screened patio for outdoor living and enjoyment. A newer detached Storage/workshop building, updated to present building code and electric. A large Master bedroom that has a king sized bed with lots of underneath storage. This home has been well maintained and is looking for a new owner to enjoy. 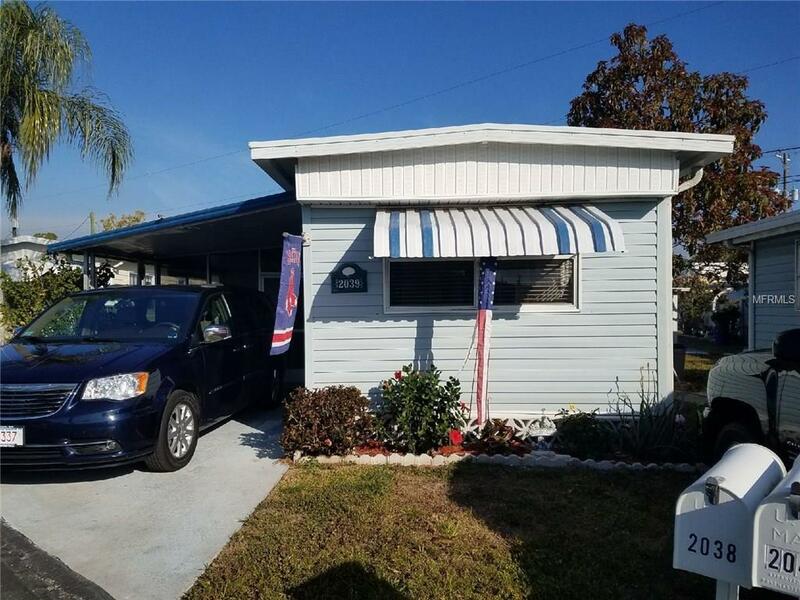 Located in Mobile Estates, an active 55+ community close to Siesta Key and walking distance to shops, restaurants and more. Priced to sell.